Dr Vivot is an assistant professor (Assistant Hospitalo-Universitaire) of biostatistics and medical informatics at the Paris Descartes University and a researcher at the Methods Team where he works on methodological issues for evaluating Artificial Intelligence (AI) algorithms especially in oncology. After obtaining his MD at the University of Franche-Comté, Dr Vivot completed a residency in public health and social medicine at the Bordeaux School of Public Health including a 6-month internship at the Harvard School of Public Health under the supervision of Dr M. Maria Glymour. 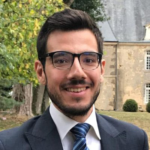 In 2013, he joined the Methods Team and did his PhD under the supervision of Dr Raphaël Porcher, working on the methodological evaluation of predictive biomarkers in oncology (http://www.theses.fr/s177008). He also worked on the methods to estimate the value of new anticancer agents. Vivot A, Power MC, Glymour MM, et al. Jump, Hop, or Skip: Modeling Practice Effects in Studies of Determinants of Cognitive Change in Older Adults. Am J Epidemiol. January 2016:kwv212.